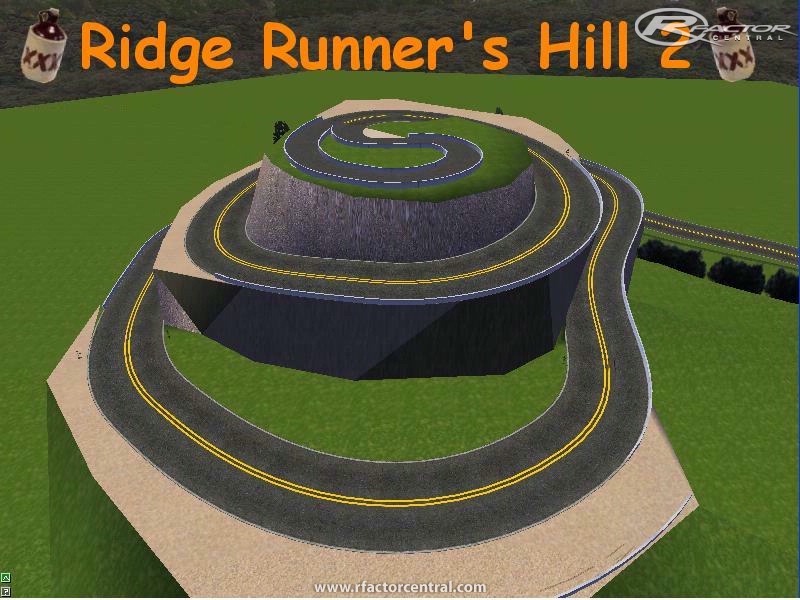 RidgeRunners Hill2 has many changes and updates to it. There are 2 versions of the track now. RidgerunnersHill2 which is just the 2 lane highway going up and down the hill with a banked turnaround at the bottom. This track is for all types of cars. RidgerunnerRally is a rally track similar to the original ridgerunnershill. Some terrain has been changed for smoother jumps plus added scenary and directional signs have been added. The startlights work on both tracks. And you still have the oncoming traffic. Also the main hill has a couple more humps and jogs so you have to 'drive' it more than the original which was pretty much a smooth spyraling turn all the way up. So for all of you who liked the oncoming traffic but not the rally part of the track, now you have it. Hope you enjoy it! Have fun, more to come,...see you on the track. There are currently no setups for Ridgerunners Hill. Add a Setup.